The other day I was preparing to participate in an ICO that required me to contribute in Ether (ETH). The ICO was on Ethereum’s blockchain which meant that I needed to send my Ether (ETH) to an Ethereum smart contract address. Soon after that, I figured out that MyEtherWallet (aka MEW) is one of the best Ethereum wallets that supports smart contracts, so I started preparing my MEW for the ICO. And as I have advised you to in my DApps write-up to read and understand the ICO requirements thoroughly, I did the same and went to the official ICO website to know what was required of me. There I encountered that the ICO required a minimum recommended “Gas Limit” of 200000 and a “Gas Price” of 70 Gwei which should convert into fees of 0.014 Ether (ETH) or $3.15. At that time, these terms of gas limit and gas price were alien to me. Nevertheless, I did my due diligence and successfully participated in the ICO. It was when I was doing my due diligence and researching these terms that I realized that they were all explained in a very technical way, and there was a lot of confusion around them. 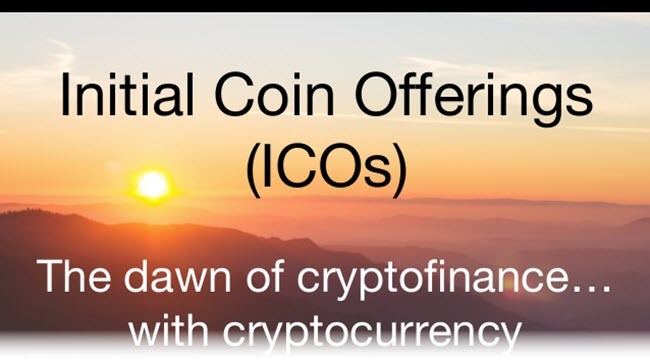 Moreover, it’s very important to understand these terms if you want to participate in an Ethereum-based ICO. Now that the ICO has concluded, I thought of introducing these terms to you in a more non-technical manner so that no one in the CoinSutra community is left behind. But before that, I think a quick recap of Ethereum, Ether, and ICOs will be helpful. What is Ethereum & Ether? Ethereum is a blockchain-based platform on which anyone with knowledge of the Solidity language can write autonomous smart contracts and also create decentralized applications (aka DApps). On the other hand, Ether (ETH) is the cryptocurrency which fuels these smart contracts, DApps, and transactions on the Ethereum blockchain. Like Bitcoin, ETH is also a peer-to-peer currency, but it has a variety of applications, unlike BTC. Ether (ETH), unlike BTC, can be programmed for many use-cases like for making DApps, enabling smart contracts, generating tokens during ICOs, and also for making standard P2P payments. That’s why Ethereum (or Ether) is also called programmable money. ICO website will declare its ICO timelines. Then they will declare their smart contract enabled address (ICO’s address). Participants need to send ETH to this address with a particular gas limit and gas price that is recommended by the ICO within the timelines. Now, if your ETH transaction is mined and has enough gas limit as required by the ICO contract to get executed, then you will get your ICO tokens credited in your wallet. Otherwise, if the gas limit is not enough, then the ICO’s smart contract execution will fail in between, and participants will not get their ICO tokens. To do anything on the Ethereum platform, you need to pay for it, and the payment (or fee) is calculated in Ether (ETH) via an intermediary benchmark called gas limit and gas price. 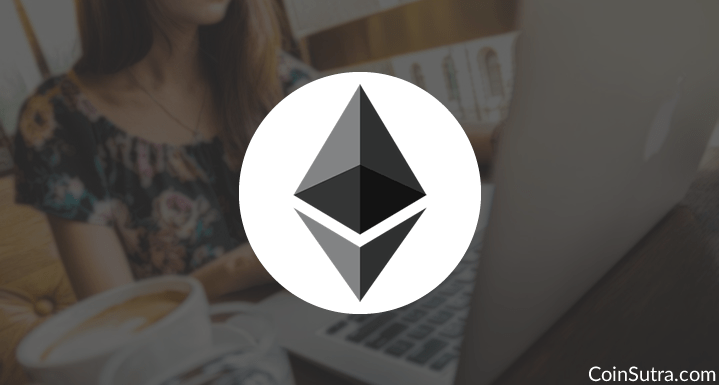 On the Ethereum network, the final transaction fee is calculated in Ether. It is derived by the multiplication of the gas limit and the gas price. It shows the Tx fees (i.e. gas limit * gas price) in USD and ETH. This fee is not claimed by wallets or other service providers; instead, it is paid to miners for mining blocks of transactions and for securing the Ethereum blockchain. This fee is paid by users to miners and is deducted from their whole transaction amount. Let’s suppose you have a car which consumes 1-gallon of gasoline worth $10 per mile. Now, if you drive the car for 5 miles, it will cost you $50. This means that if you need to make your car work (or drive) for 5 miles, you will need to spend $50 by putting 5-gallons of gas into it. Similarly, to run a line of code or do an operation on Ethereum, you need to burn the appropriate gas limit (like in a car), where each “gas limit” (like the car’s gasoline) will have a per unit price called “gas price”. In a car, $10 (gas price) per gallon (gas limit). In Ethereum, 10 Gwei (gas price) per gas (gas limit). Note: Gwei is the measuring unit of gas price (I will discuss this further in the article). Usually, when one is talking about “gas” in Ethereum, they are referring to “gas limit”. This simply means some amount of fuel is required to execute that operation or run that particular smart contract code. Gas is a unit that gets translated further into Ether (ETH) as a cost of performing that action (or work). The requestor pays this cost to the miner who actually mines and validates that transaction (or action). On Ethereum, the gas limit is measured in the unit of “gas”. For instance, if you want to execute 5 lines of code on Ethereum successfully, it will require 5 gas units. Think of it just like your car which consumes 5-gallons of gasoline for a 5-mile drive. Gas limits are already defined on Ethereum depending upon how much code is needed to be executed on the blockchain for a particular operation. If you play smart and say that you will feed in less amount of gas to run a particular code/operation, then it will fail and throw an error- “Out of Gas”. So in order to avoid this, you must feed in the right amount of recommended gas for the operation’s or smart contract’s code to get completed successfully. Rule of thumb: If you want to pay less and are lowering the gas limit below the recommended gas limit, then this will not work. Instead, try lowering the gas price. If you want to pay less for your transaction, you can do so by varying the other variable which also determines the final cost (or Tx fee) of the transaction. This variable is called “gas price”. But mind you, lowering down the gas price will make the transaction take longer to be mined. This happens because all miners want to mine a transaction that has a higher mining reward (i.e. higher Tx fee). On Ethereum, gas price is measured in a unit of Gwei. For 5 lines of code that need 5 units of gas, this would cost 5 Gwei. Are you thinking why not use ETH directly instead of gas price? Actually, this is done to decouple the cost of any operation from the market price of Ether. As you know, cryptocurrency prices are very volatile, and ETH is no exception. That’s why on Ethereum’s blockchain, the gas limit for each operation is constant and fixed so that market volatility doesn’t impact Ethereum’s usage. Just imagine a scenario in which instead of using this indirect way of fixed gas limits and variable gas prices, we had a fixed ETH cost. Let’s say the price of 1 ETH was $1000… No one would use the Ethereum platform because it would be too costly. That’s why it becomes easy to bypass this volatility of the market and simultaneously lower the operations cost by using another variable. Generally, during normal times (when an ICO is not going on Ethereum), 21,000 gas limit is used for standard transactions. On the other hand, a 200,000 gas limit is used during an ICO. For average gas prices, you can check on ethgasstation. Fast (40 Gwei)– Your transaction will likely get picked up in the very next block. Average (4 Gwei)– Your transaction will likely get picked up in next few blocks. Slow (0.6 Gwei)– Your transaction will likely get picked after several minutes. But during an ICO, the average gas price shoots up to astronomical levels. You can keep an eye here for the latest recommended gas prices and gas limits. Also, you can use this link to calculate the average transaction fee and mean confirmation time for a given gas price and gas limit. So that’s all from my side in this article, and I hope this helps you make the right choices for yourself. Still, have questions about Ethereum gas prices and gas limits? Ask away in the comments below! 1 What is Ethereum & Ether? Hi! I have a question 😀 I will participate in iCO, which cought end in first block. So, how much gwei and gas limit, should I have? And is it posible to reject my transaction, due to to high gwei or gas limit? General recommended is Gas limit-200000 and Gas price -60 Gwei but it is always good to use recommended by the ICO regulators. Yes, transactions do fail sometimes after high gwei or gas limit. In a new pool for ethics’s, I need to set the gas limit and price for my miners…I don’t understand if this change affect on pool fee or if I increment the value my miners will get a better fee for his work? Couldn’t quite connect your first part of the question. But if you are asking that if you increase either of them i.e. your gas limit or gas price the yes the miner’s reward which is the fee will increase. Also in ICOs increasing your gas limit or gas price doesn’t guarantee your share. Read the ICO participation guidelines carefully. What is the gas price for 3000 amazing AMZ coin. Can you elaborate a bit more on your question? Gas price is directly tied to ETH price. Gwei means 1/1e9 Ether, nothing is decoupled. Instead of writing 0.00000002 ETH, you write 20 Gwei. True but it still invites a lot of unnecessary confusion for average users. Hence posted this. Yeah, that should be the case but what fiat levels is not decided by us but by Ethereum foundation. I believe you haven’t read the whole thing. Gas is a kind of network fee that you pay hence you can’t avoid or opt out of that. Hi Sudhir. Great explanation! You are a great educator. This is the first time that someone has explained about gas and gwei to me in terms that I can understand. Brilliant. Thanks. Hi, While participating in an ICO today (Cointed), I sent 0.5 ethereum to the target wallet address from “My ether wallet”. It had the default gas mile value of 71750 or something. But read after sometime only that i had to send 200000 gas mile value. What would have happened to my 0.5 ethereum? would it go to cointed still (or) would it be sent back to my ether wallet (or) i have lost that since i set a wrong gas miles? You need to contact the ICO team and see what could be done. I don’t get the part why using gas price and gas limit will avoid the issue of volatile ETH prices. It seems each transaction has fixed gas limit, and gas price is correlated to volatile ETH prices. So this basically makes ETH transaction costs always volatile. Somewhat difficult for a new person to get their head wrapped around difference between gas limit and gas price. Thanks for explaining with the car & milage example! Hi, could you please clarify where exactly in myetherwallet I can enter the “gas price”? I only see a field to enter “gas”. Gas Price is right at the top of the Home page. Hi Sudhir! Great article, this helped out a lot of understanding gas limits and prices. I am trying to sell about 74 tokens for bitcoin and my wallet is requiring me to set a gas limit. I am trying to figure out exactly how much ETH to buy for the gas and am stuck.. Any suggestions? I would like my transaction to go through as fast as possible. It’s myetherwallet! It does prefill the 21000. And I have been play around with ethgasstation but it is a little confusing! Lol. I plugged in the 21000 for the gas limit and entered 40 gwei (I referenced from your site) and it estimated that it would go through very fast? I just don’t want to lose these tokens! Very nervous to say the least! From last two months Ethereum blockchain facing tremendous issues while transactions! and normal transection (how much it take a time) and how much gas limit and gas price on normal transection. if there is some complexity in the smart contract operations, what is the best way for ICO team to estimate the gas limit to execute the smart contract? Any idea about price detail info for smart contract deployment and initial distribution of tokens? .. Thanks! Hi this sounds really stupid but I am noob, I have Tron tokens in mew and I want to send to another wallet. It says I don’t have enough gas so how do I put gas into mew, I had nothing but Tron in mew so I sent .014 ether to mew thinking this would be used for gas, it is $11.00 but still say I don’t have enough gas and I know gas only costs cents so WHAT AM I DOING WRONG? I cannot find help anywhere that tells you how to do this. You will be able to transact…Ethereum blockchain is too much crowded, fees are increasing!! Hi, I would like to transfer 0.156 ETH to binance from myetherwallet. My setting is 20Gwei, 21000 gas limit. Is it ok? i just use default. Any other recommend number? Thank you! Great article, you are very thorough and helpful. Does the amount of gas needed depend how much you are transferring? I bought DCN (Dentacoin) and have around 600,000 tokens. This is an ERC-20 based token so it is base don ETH. If I send all my DCN coins to my offline Trezor wallet… how does it calculate the gas price/gas limit for this? Not on the amount. It depends upon gas limit need to trigger that particular contract. For transactions normally it takes 21000 to 40000 gas limit. And then you can use this formula -Tx fees= (i.e. gas limit * gas price) and refer this calculator to find out the recent Gas price being excepted. The link doesn’t work to calculate the average transaction fee. The requested URL /calculator.php was not found on this server. But I found it removing the php page. Thanks. Love your posts by the way. Keep on doing the good work. Great article but very misleading with regards to GAS price. You say GAS is used so it keeps the price stable if ETH were to rise. Well ETH has risen and is now around $1000, making any transaction on the ETH network, be it 1 ERC20 token or 1000, cost a minimum of $10 which is outrageous. Gas limit keeps varying accordingly and it is a free market economy. Say you have $700 USD in your wallet to invest in an ICO, but you only want invest $500. The proposed gas setting is 200,000 gas and 60 Gwei. Will I have enough to cover this transaction. yes, that should be good. Hy, I would like to ask if there can be a problem setting gas limit higher than recomanded from the ico? Can I increase the limits they give to assure that I can get into the ICO ? Yeah don’t set the gas limit too high and if you want to get in early a 10-20% more on Gas price should help you get in. Use Ethgasstation for a approx estimation. We transferred some coin as a test & set the Gas price at 10 but it hasn’t arrived in the wallet. This was over 8 hours ago. The reciept on etherscan says it was a Success. Not sure, it should work. It has worked for me fine, once check your receiving address. Very good Article. Thank you! Question: If I am sending the ETH for an ico from a Hard Cold External Wallet (Ledger Nano S), How and When do I pay for the gas? You can vary that thing in your Ledger nano’s Ether wallet interface. Thank you, this article is very helpful. I’m a newb about to invest in my first ICO today (Bee Token). Like most other successful applicants I have been guaranteed (for up to 24 hrs) 0.1 Eth of Tokens. We have also all been allocated a ‘recommended time’ to carry out our transactions, spread across the 24 hour period to alleviate stress on the Etherium Network (as happens if everyone jumps in as soon as this ICO goes live). I for one plan to wait to my allocated time 16 hours after the ICO opens. Please can you give me a steer on how much gas / gwei would be appropriate for this transaction? Also, after the 24 hours is up we all get a chance to buy (first come first served basis) up to twice our original allocation or until token sell out. This is clearly going to be a free for all and I’m sure will sell out in minutes. Should I use more gas / gwei to try and secure these extra tokens. Again can you give me some kind of steer as how best to set my gas and gwei for these extra tokens. In fact what would you do on the gas and gwei front if you were investing exactly as I’ve described? Note: I accept full responsibility for the amount of gas and gwei I choose to set for these transactions and if my transactions fail for any reason I again take full responsibility. btw, Bee was hacked as far as I know. To answer your question, use the gas limit as recommended by the ICO and use 20-255 more gas price from what is recommended by the ICO to get an early entry. hello i’m new into erc 20 tokens. im looking to buy DCN. and store on myetherwallet. Do i need to have eth in order to send to myetherwallet. or is the gas/gwei automatically taken from that transaction? if you do need eth/gas/gwei how do i purchase gas/gwei? You just need to keep ETH in your wallet and MyEtherWallet will deduct the gas and gas price etc. Gwei is basically ETH only. Please read this write-up once more. 1 thing i don’t get. I used coin base meta mask to transfer $101 from coian base that took it from my bank account. When the money was in meta mask it was only like $74! The etherscan only shows 1.50 in fees and coint base around the same where did the rest of the money go. There is no record for it? I deployed a simple ERC20 contract on Ropsten test network. It cost me 24.5 Ropsten Ether as gas. Is it going to be the same on Mainnet? That will be over $14K USD. Is it that expensive? IMO NEO is even more expensive and cumbersome. Why not try Neblio blockchain for deployment. can gas only be sent in whole tokens as well or can you sent partial tokens to the ledger nano s? I very much appreciate the “down to earth” explanations. The more I read, the more I realize that I have a lot to learn in the cryptocurrency world. I have a clarifying question: If I contribute 1 ETH to an ICO with a 1 ETH minimum investment, is the Tx fee taken from the 1 ETH sent or is it taken from what is left in my MEW after the 1 ETH is removed? My concern: If it is taken from the 1 ETH sent then I will not be contributing the minimum after the Tx deduction (by a small fraction). @Randy, Thanks, yeah learning is best. Great article, it helped a newcomer wrap his head around a number of things. I wanted to enter an ICO but it required a $1.98 USD fee. In comparison, sending $1USD in ETH would cost me $.036 USD from coinomi to MetaMask. What happens during ICOs or their wallets that jump the fee from $0.36USD to $1.98USD. could you help explain the gas (limit) difference? Gas is used to execute smart contracts and smart contracts are basically lines of code with various call function etc..
A transaction is the most basic form of an operation on ETH, so usually, the cost is low. I have another specific question. I sent some ETH from an exchange to my MEW and I saw through Etherscan that the transaction had a gas cost associated with it. The amount of ETH sent was exactly the same amount that was received in my MEW? Who paid for the gas fee? This particular exchange does not charge a withdrawal fee. If they don’t charge withdrawals fee, then the exchange paid it obviously. Which exchange by the way? tx id? Not looking into ICOs now, so can’t say. if a company did a successful ICO on the Ethereum platform and the tokens now get traded against the company’s services and goods, do I still need (Ethereum) Gas to process the transactions with the company’s new tokens? Is there a fixed connection between Ethereum gas and the transaction price of token transactions in a company’s token system? Hi, If any company wants to distribute tokens as community without any identity ICO and are on startup stage, what will be the total investment amount is required from the company excluding blockchain developer cost or any development on ethereum. Of course and you pay it that. Is the cost substantial? and approximately at what percentage? How does having the concept of gas price solve the market price volatility problem? I mean the gas price is still in Ethereum, and hence would be affected by the price volatility.